Is it really needed? I had the honor to go speak at Moms of Multiples. I quickly realized that the room was full of some well experienced moms. Before the workshop started, the moms had their small group time. As I was setting up the table, I was listening to the women visit about their struggles, strengths, praises, and even giving ideas and providing encouragement. 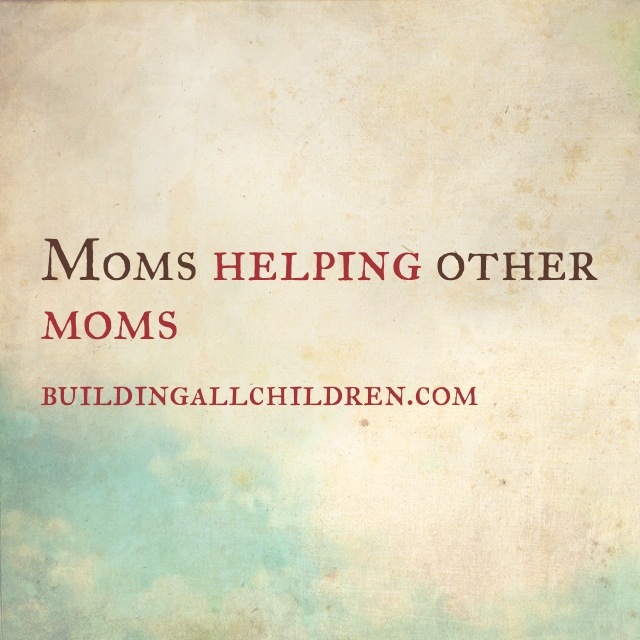 I was blown away at how the moms reached out to each other and provided support. I realized I had a few minutes before starting so I ran out to my car to get my car manual (yes, it was part of the workshop) and I ran into a mom that was pushing a buggy with two babies asleep. I helped open the door for her and asked her how she was doing? She replied, “Exhausted!” I smiled and said, “I can’t even imagine.” She quickly replied and said “I had no idea.” I found out that she is a single mom and is living with her parents while trying to raise her new twins. ADORABLE they were, but I felt for this new mom! I could feel her fear, tiredness, and uncertainty! Wondering if this is why God had me to this group. I just knew it was so I could provide some encouragement to this mom. This group of women have become friends, helping each other in a tough challenge (being a mom…. a mom of multiplies). I enjoyed providing this group information on child development but the best part of the night was teaching them what the Bible says about parenting. They taught me that it’s important to live the way scripture tells us to live… Rejoice with those who rejoice, weep with those who weep. Romans 12:15 I was grateful to be a part of this group and even more grateful for the conversations after the workshop.